ALMOST a quarter of a million pounds in funding has been given to promote red squirrel protection across the North East. 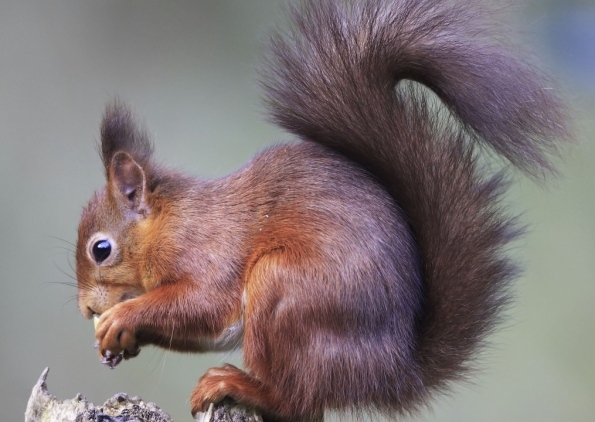 The Heritage Lottery Fund has awarded a grant of £247,700 to Northumberland Wildlife Trust to support the four-year Red Squirrels Northern England project. The money will be used to bring urban and rural Northumberland communities together to protect the red squirrel and find out more about the species. There will be guided walks and talks, local schools will be able to go on field trips to learn how to record red squirrel activity and volunteers will be trained in order to 'adopt a woodland', where they will be responsible for regular squirrel monitoring. The wildlife trust will work with partners Natural England, the Red Squirrel Survival Trust and Forestry Commission to deliver the programme, and 25 'focus communities' will also be involved. Head of the Heritage Lottery Fund North East Ivor Crowther said: "We have some wonderful native wildlife in the North East and collectively we have a responsibility to ensure its survival. "This project will give people of all ages the opportunity to learn more about the famous red squirrel and help monitor and record squirrel activity and the role it plays in the North East's ecosystem. "The Heritage Lottery Fund is proud to be a part of this project that will inspire and empower local people to help safeguard this important species for future generations." Many of the remaining 15,000 red squirrels in mainland England live in the North East, but they face threats from grey squirrels due to resource competition and disease. The overall conservation project aims to ensure red squirrels maintain, and where possible increase, their geographical range through grey squirrel control, and to obtain detailed scientific evidence tracking red squirrel populations. However, no part of the lottery grant will be used for grey squirrel control. Project Manager Nick Mason said: "We are delighted that the Heritage Lottery Fund can help us develop new grassroots red squirrel conservation activity in Northumberland. "Effective local red squirrel groups, like Ponteland Red Squirrels, make a huge conservation contribution and this project will encourage new groups to form and existing groups to grow." Ponteland Red Squirrel Group Secretary Sally Hardy said: "This exciting funding will help local groups grow their skills and capacity, while allowing us to offer assistance to new communities interested in conserving red squirrels. "The Northumberland groups can't wait to get started."